I was mentioning the scottish family of Douglas-Hamilton and the famous ancestor Douglas, who together with Sinclair headed the crusade to Jerusalem carrying a cask with heart of Robert the Bruce which gave them victory in battles and guided to find and bring back to Scotland, according to the legend, unknown treasures of templars, after which on return to Scotland the families became very rich (in fact, two of most powerful) and received their titles and lands around Edinburgh. Now i am going to draw attention to another Douglas, this time artist Fettes-Douglas. Coming from family of founders of Fettes College which later educated hundreds of prominent members of british elite from James Bond prototype to Tony Blair, his works exhibit unprecedental knowledge, read initiation, into mysteries of occult. There is not a hint of vague fantasy in his works, they are detailed depictions of alchemic process and occult ceremonies. Scottish social scene of the period was full of occult societies and organisations, but none of them were ever open about the rituals. Fettes-Douglas is probably the only artist, apart from Rembrandt, who has insight into alchemic “kitchen” and knows what he is talking about. His colors also follow alchemic scene, this one called “The Alchemist” being in emerald green, while Rembrandt kept to secretive sketchy black-white etching. 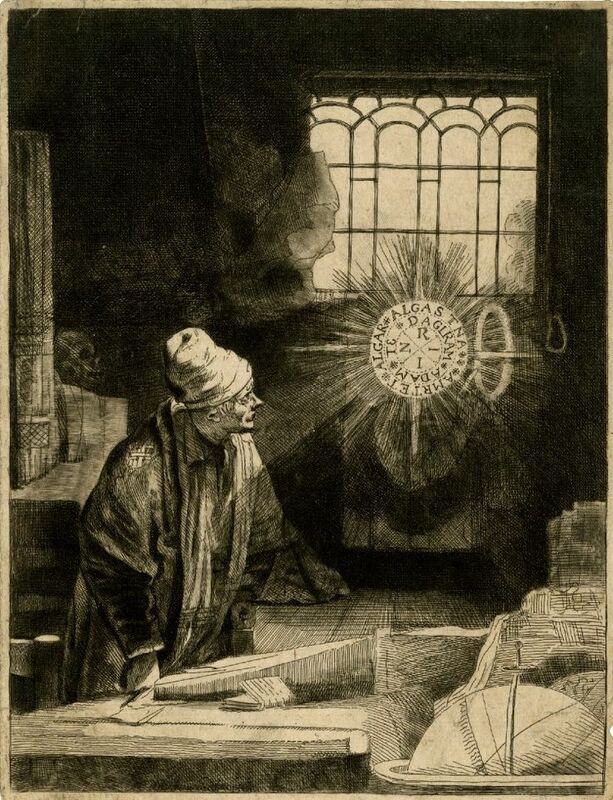 But please study the seal appearing in the ray of light in Rembrand’s etching – it is for real and he knew what he was drawing! From the Scottish Rite of Masonry to Hellfire Club, floating gradually into Golden Dawn, Scotland was the cradle of occult. They knew rituals from necromancy to transmutation of metals, most practices lost otherwise in 15-16 century. 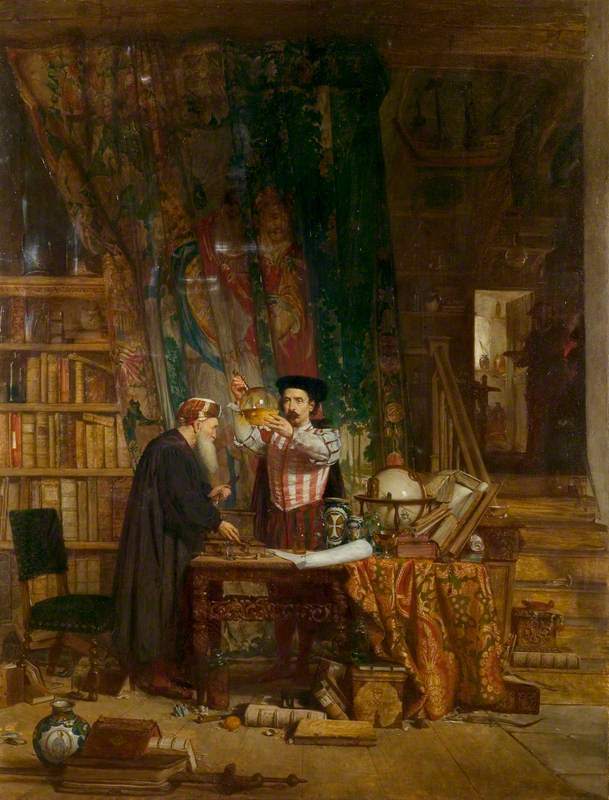 This painting by Fettes-Douglas represents such a ritual, and the objects point towards artist-s own initiation into the mysteries. Now, to the new Marvel blockbuster Dr.Strange: we see there same seals as in Rembrandt’s etching, which proves that it is not modern fantasy imagination, but glimpses into lost reality. Lost, or?